Viral prank caller and all round entertainer gets to the bottom of things with new track! For over a year now the anonymous Nigerian entertainer known only as Uncle Rafool has been setting tongues wagging on Facebook with his hilarious prank call videos. They saw the mysterious Uncle Rafool calling schools around the UK and getting reception desks all tongue tied as they try to keep up with his whip smart wit! Having built a strong following online with his mischievous antics, Uncle Rafool has now delighted fans by releasing his debut single ‘Pounded Yam’. The first track from upcoming album ‘Everybody’s Uncle’, the song is both a tribute to Uncle Rafool’s Nigerian roots and an all out Afrobeat stand out – all wrapped up in a song comparing a girl’s backside to the titular Pounded Yam (a traditional Nigerian food not dissimilar to mashed potato). You can enjoy the video here – and keep your eye out for that dancing nun! A self-made viral success thanks to his prank calls, ‘Pounded Yam’ is Uncle Rafool’s first step into the music industry. 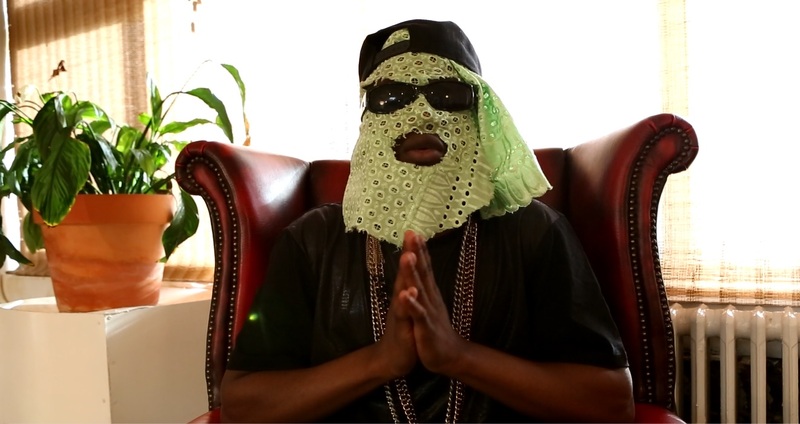 Having already gone VIRAL with his comedy videos, (Getting Arrested: http://www.youtube.com/watch?v=1eKaZF0W6uI) he is hoping that his masked mug will make a similar splash with music fans across the UK and beyond. And with those prank calls gathering fans from England, Canada, USA and Nigeria, Uncle Rafool has every chance of repeating that success with this upbeat new single – especially with the help of his online following, who have embraced the hashtag #RafoolsArmy in a bid to spread his music far and wide.